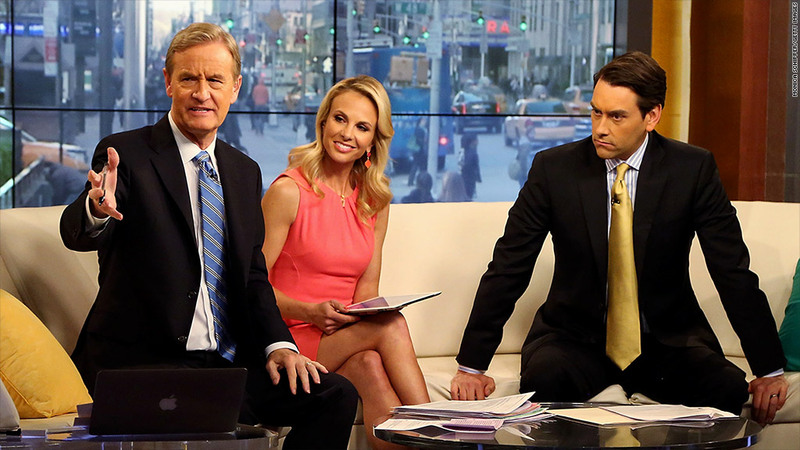 Elisabeth Hasselbeck had been missing from "Fox and Friends" due to an unspecified surgery. A familiar face has been missing from the Fox News morning show "Fox & Friends" for the past month: Elisabeth Hasselbeck's. Hasselbeck, who joined Fox last fall after a ten-year stint on "The View," underwent an unspecified surgery in mid-October. On Thursday, she announced on Twitter that she was on her way back to work. "Full of #gratitude to be back TOMORROW 6am EST on @foxandfriends," Hasselbeck wrote on Twitter. "Mornings are #BetterWithFriends like all of you!" Deadline.com reported that she "will address her time off" during Friday's broadcast. A number of female Fox hosts have filled in for Hasselbeck in recent weeks. Her medical leave was announced on the program on October 15, when co-host Steve Doocy said, "In case you were wondering where Elisabeth is today and this week, well, she had some surgery yesterday and she's going to be out for a couple of weeks." Doocy added, "She's doing just fine, she's on the mend." "Fox & Friends," which airs between 6 and 9 a.m. Eastern, has a loyal fan base and typically attracts more than a million viewers in the 7 and 8 a.m. hours.